Not long after Pope John Paul II died in 2005, a man called the Catholic Review asking to speak with George Weigel, Baltimore-born papal biographer and a syndicated columnist whose work was featured in the Review. Joe Ryan, the managing editor who fielded the call, could have simply passed along the contact information. Secret Service Agent James Le Gette, a parishioner of St. John the Evangelist in Severna Park, proceeded to tell a spell-binding tale of a playful pope sliding down the banister at a residence next to St. Matthew’s Cathedral in Washington, D.C., prior to visiting the White House. Le Gette was at the bottom of the stairwell. He physically caught the future saint when he reached ground level. “Ho, ho, ho, Secret Service,” the Polish pontiff told a stunned Le Gette. Joe knew he had a great story, but not one that would be published without some investigation. Using high-level contacts in the Catholic Church whom he had befriended over the course of his long career in Catholic journalism, Joe corroborated the story. The Catholic Review published it April 21, 2005, and it remains one of Joe’s favorite. “I’m really proud of uncovering that gem,” Joe said. After decades of producing stories that go into a depth not found in some other outlets, and after many years managing newsrooms, editing pages and mentoring others, Joe is hanging up his red pen. My friend and former colleague retired as editor and general manager of The Dialog, the newspaper of the Diocese of Wilmington, Del., Oct. 31. 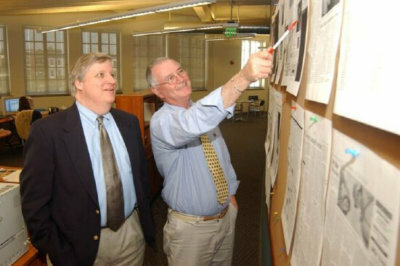 He had headed the publication for 11 years after serving four years as managing editor of the Catholic Review. After working at a secular newspaper in New Jersey, Joe got his start in Catholic journalism at The Catholic Standard & Times in Philadelphia some 40 years ago, where he learned from his great mentor, the legendary Monsignor John P. Foley. Monsignor Foley would later head the communications council at the Vatican and was named a cardinal by Pope Benedict XVI. Joe moved on to The Dialog in 1983 and then back to the Catholic Standard & Times in his hometown after another stint in the secular media. 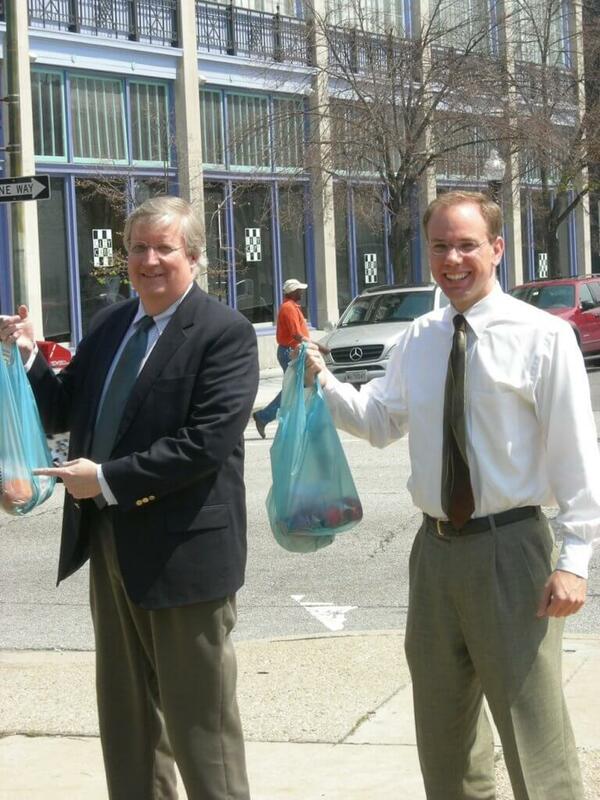 Joe, who was my daily lunch mate when he was in Charm City, is one of the most generous persons I’ve ever met – willing to work long hours and exhibiting Herculean patience no matter what came his way. 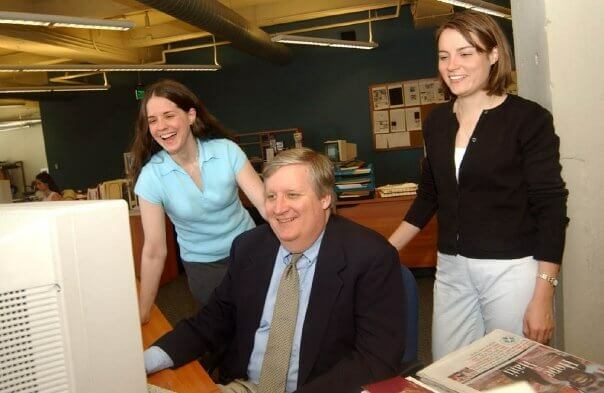 “People have a lot of expectations of a newsroom,” said Daniel Medinger, former CEO of the Catholic Review, and the man who invited his friend to investigate a career in Catholic journalism. One of the most difficult of those calls came in 2002 after Cardinal William H. Keeler decided to publish in the Catholic Review the names of priests credibly accused of sexual abuse. It was from a priest who wanted to know if his name was on the list. Joe told him it was. Jennifer Williams, a former news editor for the Catholic Review, remembered that when she took on an editor’s role, Joe likened it to being in a bathtub filled with ping-pong balls. Her job was to try to keep them all under water. One of Joe’s greatest talents – one that I have envied for years – is his masterful headline writing. The Catholic Review once published a story about a ministry that helped people remove inappropriate tattoos. Joe’s award-winning headline? One of Joe’s personal favorites was a headline he wrote in Philadelphia about a Vatican change to the English language translation of the Psalter. “Rome finds psalm things lost in the translation,” it read, another of Joe’s many award-winners. Joe often would come up with an attention-grabbing headline and then try to build a story around it. His focus on headline writing is directly connected to the English major’s interest in poetry, he said. In addition to his work at Catholic papers in Wilmington, Baltimore and Philadelphia, Joe was a leader in the Catholic Press Association, serving nine years on the board of directors. A former vice president and president of the CPA, his duties took him to Mexico City, Paris and Split, Croatia. 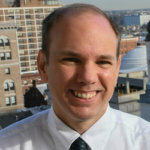 Christopher Gunty, current CEO of the Catholic Review, was president of the CPA when Joe was vice president. In his retirement, Joe plans to write poetry and plays. He is grateful to have had the opportunity to work for the church he loves. “At the heart of it, I wanted to work for the good guys,” Joe said. The good guys were blessed to have one of their own working for them.